The 2nd Global CemProcess Conference has successfully taken place, including a cement plant visit to the Breedon Group's Hope cement works, Derbyshire, on Friday 25 May. You can now read the full CemProcess Conference 2018 review. A video will be posted here shortly. • Great conference, well organised. Slido was a great tool and was well-used. • Overall a very well organized event. • Thank you - Very well done. 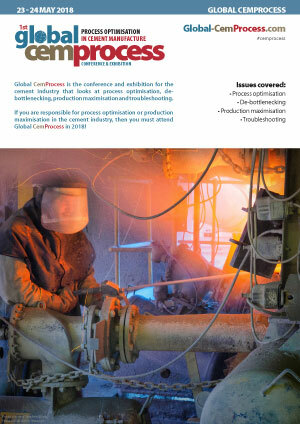 Global CemProcess is the conference and exhibition for the cement industry that looks at process optimisation, de-bottlenecking, production maximisation and troubleshooting. 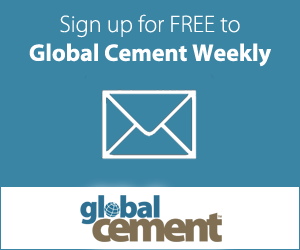 In this low-capex world, Global CemProcess takes includes asset-light, low-capital intensity optimisation models and projects to help cement producers attain cost-leadership. With over 2500 cement plants around the world, many of them in sold-out or in hyper-competitive markets, the drive for each additional tonne of production and for process efficiency is ever-more important. Global CemProcess will again take place in London, at a five-star hotel close to Heathrow Airport, making it easy-to-access for all delegates, and allowing fast access to both the conference dinner venue and to the field-trip cement works. Non-producer fees: The conference early-bird registration fee is £495 to 31 December 2017 and the conference normal registration fee is £595 until 3 February 2018. The late rate is £695 from 4 February until 6 April. The conference final-rate registration fee is £795 from 7 April 2018. Speakers register for £395, while confirmed-cement-producer speakers register free. The conference social evening is bookable separately at a rate of £100. The full-day field trip to Hope cement plant is bookable separately during registration for £95 (includes lunch). These fees exclude any applicable UK VAT. After 20 April, the cement-producer-employee registration rate is £295: the conference social evening is also then bookable separately at a rate of £100. The full-day field trip to Hope cement plant will be bookable separately during registration for £95 (includes lunch). These fees exclude any applicable UK VAT. • We would like to thank you and your team once again for the great organisation and lead through the whole conference. It was a great experience for us and we were able to establish new, interesting contacts. Important note: We will never call you about booking hotel rooms for this conference (just use the link on the 'Accommodation' page). If someone calls you offering a discount on hotel rooms, they are trying to scam you. Just put the phone down on them! The 1st Global CemProcess Conference & Exhibition has successfully taken place in London on 24 - 25 April 2017, including a visit on Wednesday 26 April to Hanson Cement's Ketton plant to see industry-best-practice case studies in action.